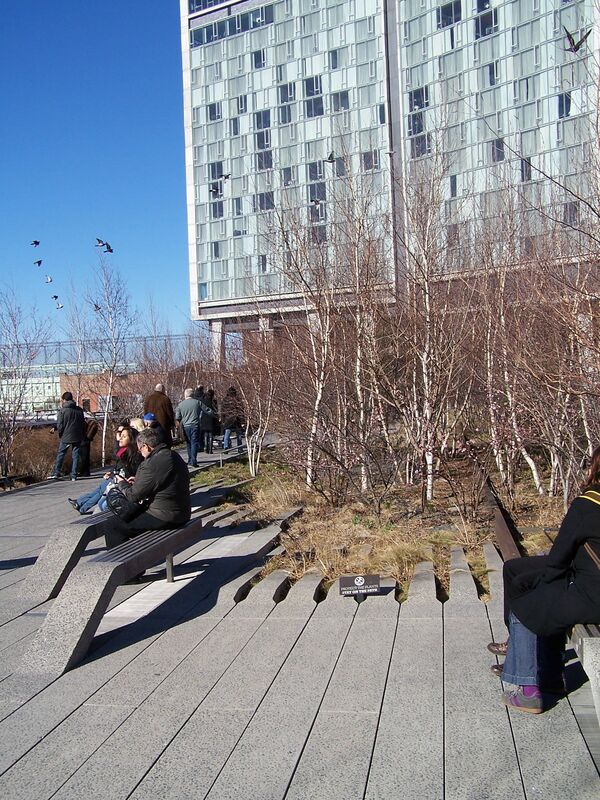 I recently visited both the older and newly opened sections of the High Line urban greening ‘park’ in New York while attending the annual American Association of Geographer’s conference. 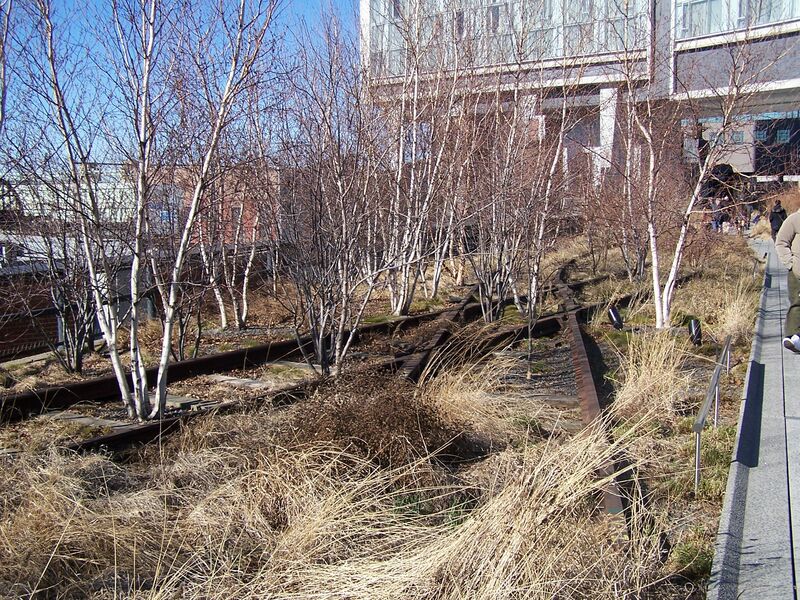 Even in winter, when the plants are in their winter dormant state, the High Line is extremely popular with New Yorkers and visitors alike. 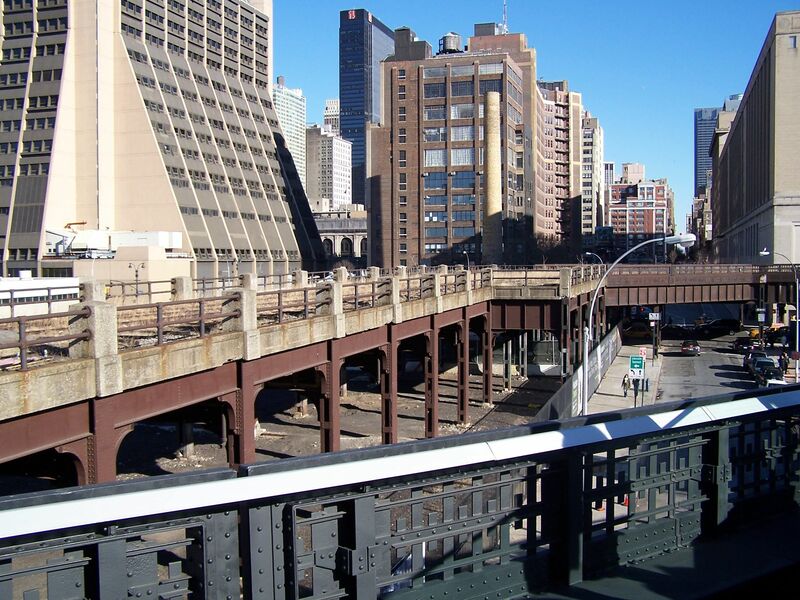 The formerly abandoned elevated rail line has been restored to an ecologically-sensitive elevated park, complete with plenty of seating and quiet places for families, couples, and solitary walkers to sit and relax and enjoy the view. 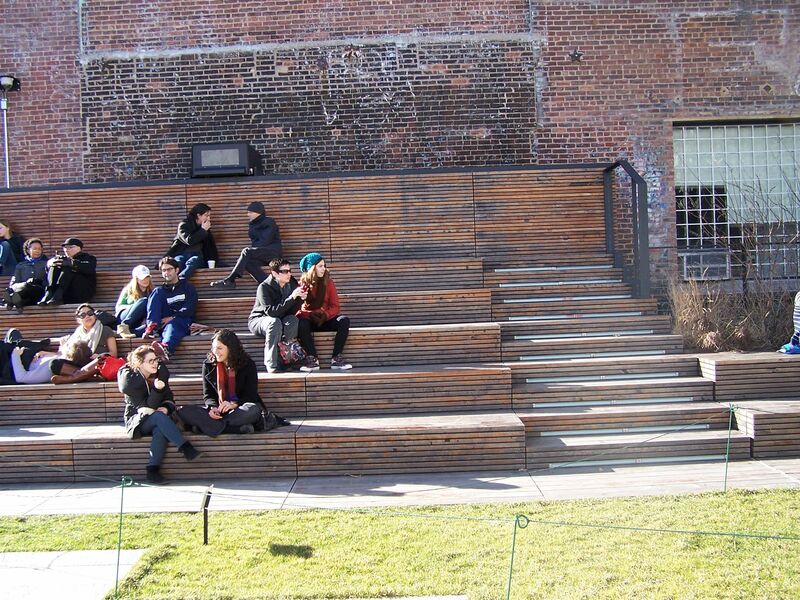 It is wonderful to see urban place-making that is appreciates that urbanites are not merely consumers, and that gives them space to pause, observe, and reflect. 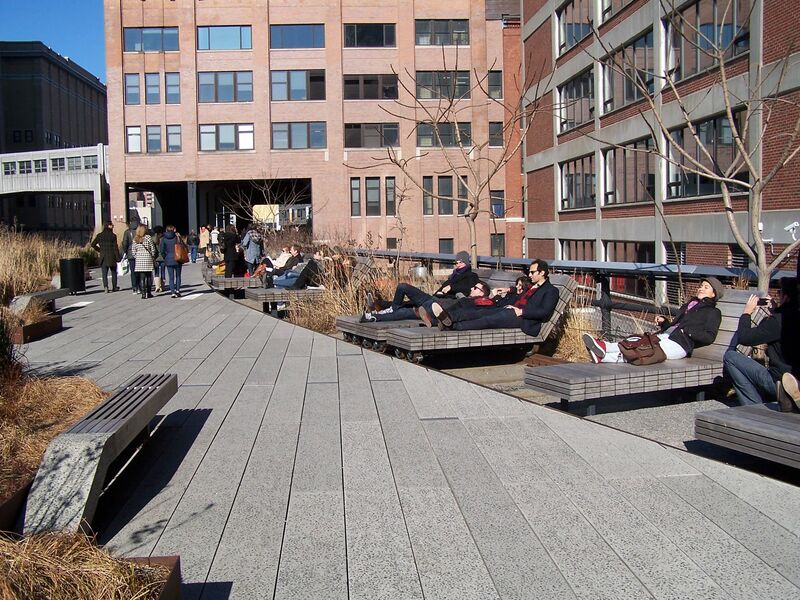 The aesthetic of the High Line is also indicative of a new ecological aesthetic that is becoming more and more popular in North American cities. 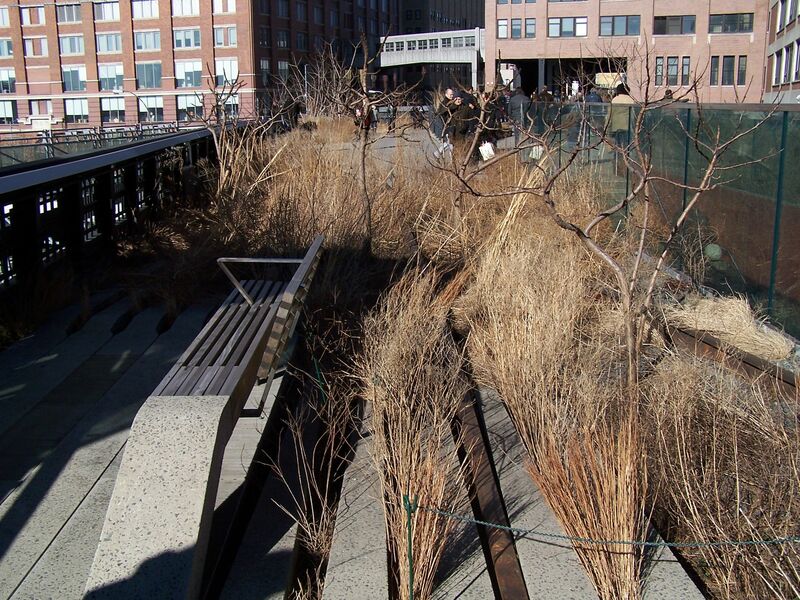 This aesthetic combines the goal of greenspace for human use with ecological goals, such as the use of native plants, the mimicry of endangered habitats, and generally a ‘wilder’ aesthetic. 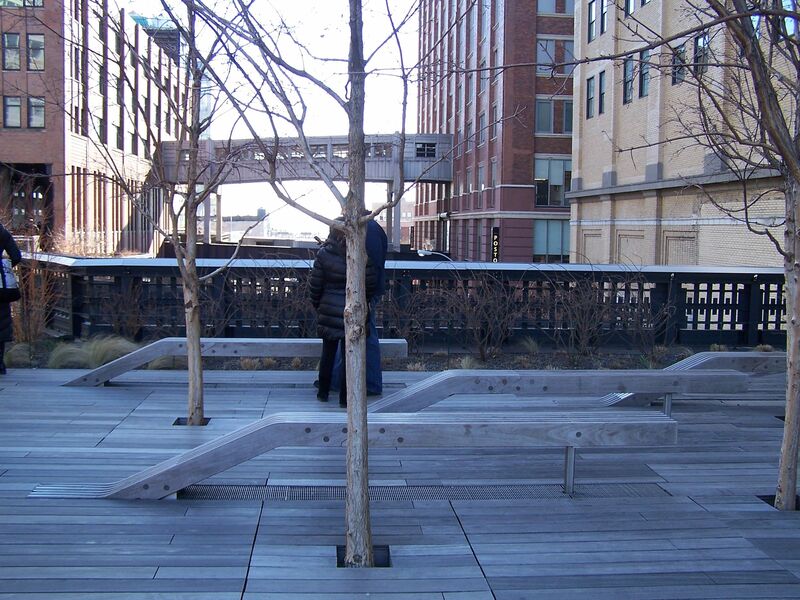 Other examples of this new kind of greening are the Lurie Gardens in Chicago and the green roofs on the city halls of Chicago and Toronto. 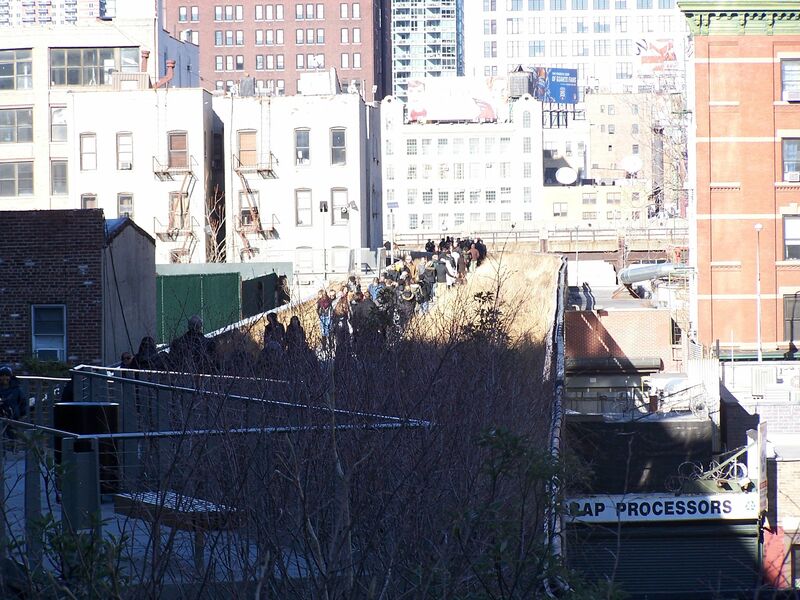 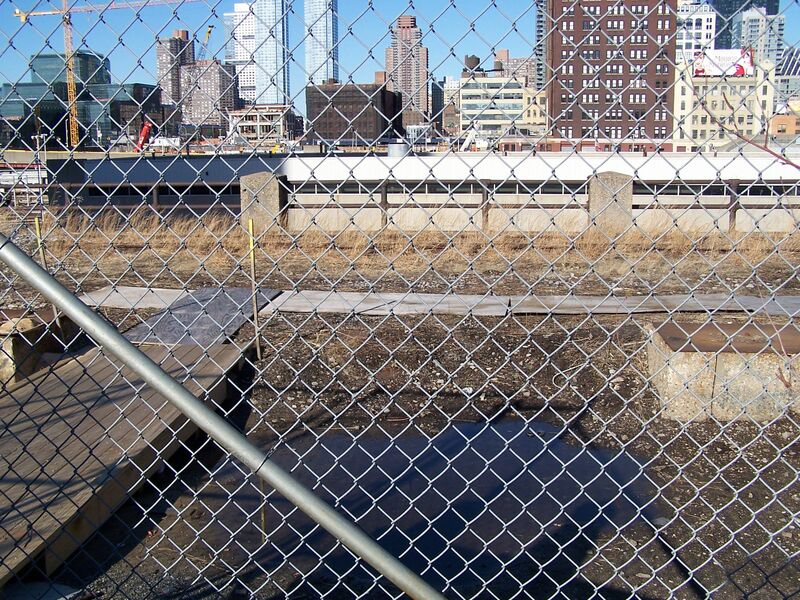 There is more planned for the High Line and you can see the unfinished sections here.